So you're wondering which tent to buy. And you want to read hiking tent reviews. Did you read this first? It clues you in to the tent features you should consider for your style of backpacking. Reading it will make you a more informed consumer of this review. I've spent plenty of time in backpacking tents, starting with canvas tents (no kidding! I really am that old!). And plastic tarps thrown over a piece of rope. I am happy to report that we've come a long way since the 1970's, in terms of weight, water proofing, durability, pack footprint, and ventilation. But here's the real reason why you should read this review: I love looking at tents. Whenever I allow myself to go into an outdoor gear store I make a beeline to the tents. I'm always curious about new features, new brands, and new solutions to old problems. And I love the idea of a tent! a sanctuary at the end of a long hiking day... I love tents! But my love is tempered by skepticism. I want my money's worth, and I want the tent to last a good long while (as long as I do my part and treat it right). 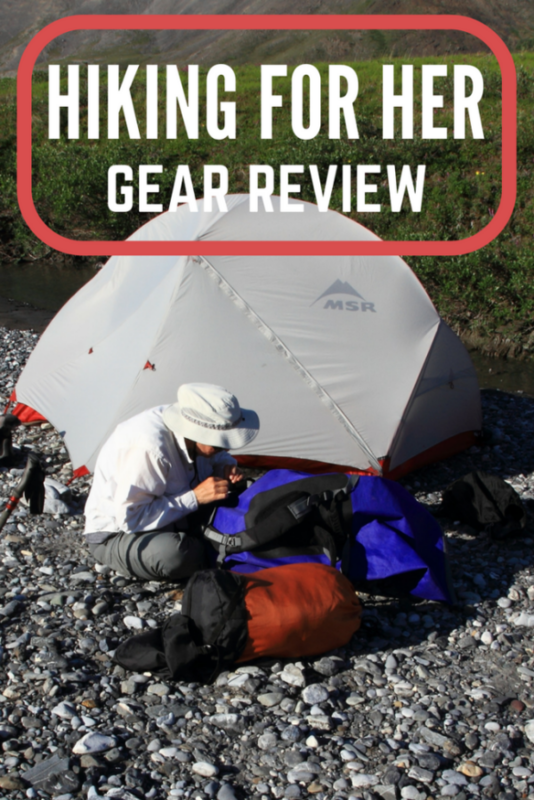 So you can be sure that my hiking tent reviews will give you the pros AND the cons. The tent being reviewed, an MSR Hubba Hubba, was purchased with my own money after extensive comparison research. No one asked me to review this gear, and no one edited my comments. 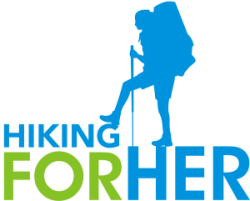 Contact me if you have specific questions which aren't answered in my hiking tent reviews. And please note that if you purchase this tent through the link above (after careful consideration of my review), it will cost you nothing extra. Hiking tent reviews need to be written by hikers who push their gear hard - in ANWR, Alaska, USA, for example. And that's just in one day!! Most hiking tent reviews present the "pros" first, and for good reason. It's great to highlight the good news first, and there is a lot of good news about the Hubba Hubba. Let's start with the "pros" - the things I really liked and appreciated about this tent. Each end of the tent has color coded tabs, which makes putting on the fly much, much faster. Caveat: Setting it up in the dark might be problematic for this reason. The “hubbed” pole set snapped together seemingly on its own, and held up in strong winds. One note of caution: Keep grit out of this pole set! If you’re on dirt and sand (such as gravel river beds), don’t lay the poles down to snap together or take apart. Have someone hold up one end while you work on the other. This tent features two doors (not always a feature on a lightweight tent), so 2 people can enter simultaneously during peak mosquito times or driving rain. Also makes it easy to slip out during the night when nature calls, without disturbing your tent companion. Truly lightweight, packs up very small, less than 4 pounds including poles, fly and footprint! I consider carrying four pounds of shelter a good investment of my muscle power. If you yearn to go ultralight, a tarp might be more to your liking. Or if you're really confident about good weather, don't bring the fly! To go smaller and lighter, there is a one person version of this tent, the Hubba. Not everyone cares about storage within a tent. I find these options indispensable for keeping my gear organized and safe from grit and mishaps. This tent has two mesh pockets, one at either end, for glasses and other small items you don’t want to crush under your sleeping bag. The bathtub design for the floor keeps rainwater away from your sleeping bag & pad. The fabric is durable, but I wouldn't push it too far. For that reason, removing my boots before entering the tent is a habit I've cultivated. There are two spacious vestibules (storage areas/covered entry points) on each door! This really saved me on my ANWR trip, because I could pile my dry bag and day pack out of the wind & rain to rummage around in them while staying cozy. It also afforded a shady spot to lounge in during the endlessly sunny July days in the Arctic. The Hubba Hubba provides adequate headroom, but remember, I’m only 5’3’’. Seemed roomy enough, even filled with 2 inflated mattresses, 2 sleeping bags, 4 boots, and miscellaneous piles of clothing & gear. A large guy might have a different opinion! You might want to hunt around for other hiking tent reviews on the Hubba Hubba for a different perspective. Condensation wasn’t a problem (lots of mesh and no contact points with the fly), but we were in an extremely dry climate. Yes, we got dumped on a few times early in the trip while still in the mountains, but for the most part, we were in desiccated terrain. So I don't know how it will perform in the soggy Pacific NW - I'll update once I've had a chance to test it on my home turf. There’s an ingenious little flap on each end that can be propped open for airflow. I can see how this tent would be rated three-season, although I would pack along a sleeping bag liner for early spring or late autumn trips. A detail you might not want to know, and most hiking tent reviews don't mention: The tent fabric is absorbent for blood filled mosquitoes! After closing the doors each evening, it was a daily ritual to eliminate the little bloodsuckers, one at a time, starting in one corner. Inevitably, by the end of the “sweep”, a few had gotten full bellies. Mashing them into the tent walls did not seem to diminish the ability of the walls to keep us warm and dry! And when we got home, vacuuming out the corpses was kind of fun. The blood (my blood!) easily came out of the fabric with a dampened sponge. All of the zippers functioned well (fly and tent doors), even in pouring rain, extreme wind, and gritty conditions. The tent is designed to direct rain away from the zippers, and it seemed to work well because I never got a surprise soaking when I reached for a zipper. The MSR hiking tent reviews I've read all praise this unique feature. And now for the things that concerned me: "cons" or drawbacks to the Hubba Hubba. FYI: Beware of hiking tent reviews that don't have any "cons" mentioned! These are things that pop up as you're using the tent over the course of several/many days in all kinds of terrain and weather conditions. Every tent will have some concerns, it's just a fact of life: trade offs -vs- useful features. The Hubba Hubba tent is a bit pricey, but when you’re going out into rough conditions, you get what you pay for. I am willing to pay a bit more for brands I trust. I’ve always had good experiences with MSR gear, whether it’s my stove, snowshoes, gaiters, or tent. NOTE: Hiking tent reviews should always mention price points and equate them with the level of usage the tent will receive. This is not a tent for a casual hiker - you'll be paying for features you really don't need. Don't invest in this tent if you're going on a "once in a lifetime" trip. It's also not a "top of the line" tent - if you need 4 seasons or rugged features, look elsewhere and be prepared to spend bigger bucks. The footprint (tailored ground cloth) was an additional $50, which seems somewhat irritating given the fact that good tent care always involves a footprint. Why not just add it to the price of the tent and include it? I had to special order the footprint, and it came in a different color than the tent when it finally arrived. I'm not a "matchy match" kinda girl, but it bugged me that the tent is white/red and the footprint is green. Give me time, I'll get over it. Protecting the tent floor was a really smart move – no signs of damage or wear after 2 weeks of continuous rough usage, even after dragging many pounds of gear over the tent floor every day. Tip: I've always sprung for the footprint, regardless of the tent I purchased, using the logic that it's cheaper to replace the footprint than to replace the tent! This is a freestanding tent, so be careful with setting it up in strong winds. Get the footprint staked down, then the 4 corners of the tent, as quickly as possible, before trying to clip the tent to the poles. It helps if you work as a two person team in windy conditions. By the end of the ANWR trip, my husband and I were able to set up the tent in under 4 minutes, once the poles were assembled. Nothing like wind and rain, plus fierce bugs, for motivation! I am not sure what this tent would do if a lot of snow fell on it. The poles seem reasonably sturdy, but if a big snow dump occurred overnight, I wonder if they’d be up to the task. I'm going to look for other hiking tent reviews and update here if the poles prove to be problematic in winter conditions. To be fair, the tent is rated "3 seasons". But continuing to be fair, snow can happen year round in the mountains! One plus: the dome shape will divert wet, heavy snow. Every tent is an investment of your money, as well as your trust. To keep the lifespan of your tent in its optimal range, incorporate these tips into your backpacking routine. Always use some type of a footprint to protect the floor. You can make your own, using a sheet of plastic. The pre-made version will attach to your tent via grommets, keeping it from sliding around. Take your boots off before getting in. That's when a vestibule comes in handy. In bear country, don’t bring anything with an odor into the tent. You don't want to smell like a smorgasbord to your ursine neighbors. When you arrive home, store your tent clean (sponge off the mosquito blood, grit and debris) and dry (hang it in sunshine to prevent mildew). Overall: I have no hesitations about recommending this tent. Mother Nature threw everything she had at it (sometimes within a 12 hour period), and the Hubba Hubba kept up its good performance throughout the trip. Take a closer look at it right here! And if this tent isn't up to your standards, read this Hilleberg tent review. There are lots of tent types to choose from!